Think Like A Man topped the US box office for a second week running. Screen Gems’ comedy-drama, starring Kevin Hart and Gabrille Union, pulled in another $18M, bringing its domestic total to a very impressive $60M, almost five times its production budget. The Hunger Games – Lionsgate’s adaptation of Suzanne Collins’ much-loved novel – conquered the US box office with a staggering, and record-breaking, $155M. The sci-fi action crossover, which centers on an annual battle to the death, now boasts several impressive accolades. The Lorax maintained its impressive lead at the US box office this weekend, grossing an estimated $39.1M. The animated take on Dr. Seuss beloved children’s novel has earned a tidy $121M in a mere ten days. Surpassing studio and analyst expectations, The Lorax won the weekend with an astonishing $70.7M. The latest film – a new take on Dr. Seuss’ acclaimed children’s book – from emerging animation studio Illumination Entertainment (Despicable Me, Hop), The Lorax, along with this week’s other top ten entries, showcased a particularly on-form box office. Chronicle soared to victory at the US box office this weekend, fending off competition from The Woman In Black and Big Miracle. Josh Trank’s low-budget superhero-come-found-footage film reaped the rewards of its terrific reviews to a very impressive £22M haul, edging out horror remake The Woman In Black ($21M) by the skin of its teeth. 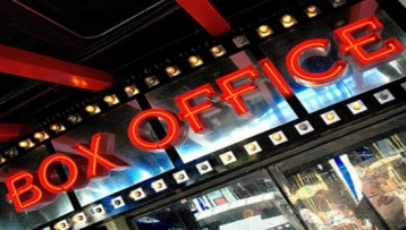 Universal Pictures’ Contraband reigned supreme at the US box office this weekend. The modestly budgeted action-thriller starring Mark Wahlberg and Kate Beckinsale raked in an impressive $28.8M to nab the top stop. A re-issued, 3D conversion of Beauty And The Beast proved popular with audiences, to the tune of $23.5M, while other new entry, the musical-comedy Joyful Noise, landed at four with a more than solid $13.8M. Low-budget horror The Devil Inside emerged victorious at the US box office this weekend. The film, which earned scathing reviews from most critics, proved a commercial success to the tune of $34.5M.